Each of your Programming personnel present gains Engineer. 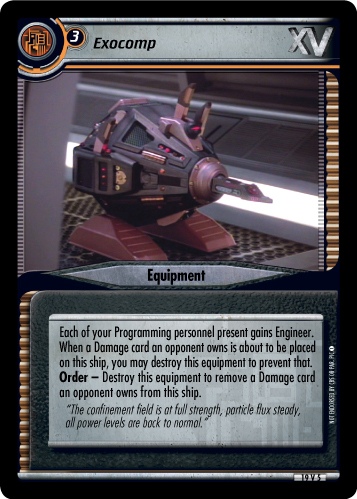 When a Damage card an opponent owns is about to be placed on this ship, you may destroy this equipment to prevent that. 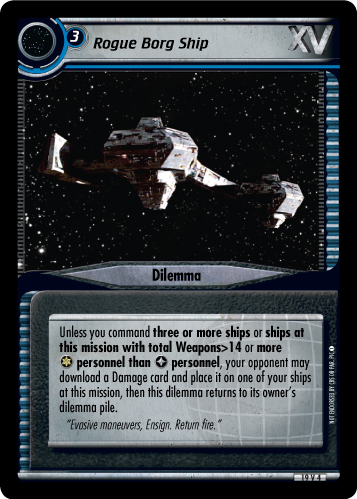 Order - Destroy this equipment to remove a Damage card an opponent owns from this ship. 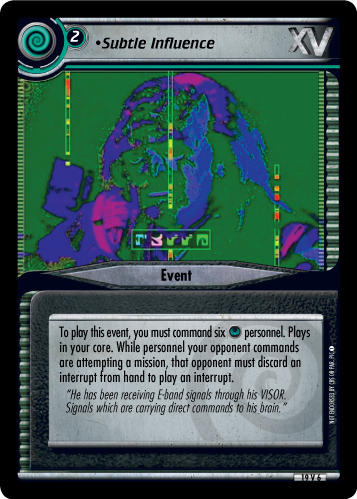 "The confinement field is at full strength, particle flux steady, all power levels are back to normal."